Governor Samuel Ortom of Benue State, has affirmed that his administration will not rest on its oars until the battle against the Fulani Herdsmen is won in Benue State. The Governor who lamented that the activities of the herdsmen were hindering farming in the state, said the government would not give out its land to herdsmen for open grazing. 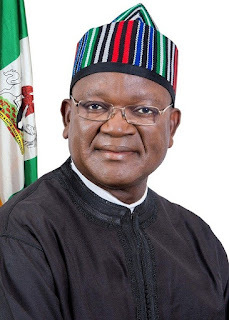 Ortom who spoke in Makurdi, at the end of the Town Hall Meeting he held with stakeholders in the three senatorial zones of the state, said the government would continue to support those who were prepared to ranch their cattle in the state. According to him, the decision of the state government to enact a law to prohibit open grazing of cattle was borne out of the commitment of his administration to end frequent invasion of the state by herdsmen. He regretted the lives being lost in several Benue communities due to the activities of herdsmen, stressing that the administration was working round the clock to ensure that peace reigned across the state. Governor Ortom said, “I have made it clear that we will not surrender Benue to herdsmen. We are saying that we do not have land for grazing.